We’re all guilty of using jargon from time to time. As someone who has worked in flooding for over 20 years, it’s all too easy to get caught up in technical language and this can often get in the way of getting vital messages across. That isn’t a new idea but it is an important one. Particularly as it’s an essential part of the Environment Agency‘s role to tell people about flood risk. One in six properties in England is at risk of flooding. Yet, only 8% of people in flood risk areas are fully aware of what that means for them. We often talk about the importance of being ‘flood aware’ but what does that mean? We’ve spent over a year working with five communities considering the way we communicate flood risk, from the language and tone of our messages to the type of information we give and the methods we use to promote that information. Working alongside Sciencewise, we held workshops in locations at risk of flooding but with varying experiences of it - Leicester, Newtown, Oxford, Skegness and York. The sessions produced some thought-provoking recommendations and were a fantastic experience for me personally, forcing me to take off my ‘expert’ hat, see our work from other perspectives and think about how we can use those perspectives to improve the work we do. Coming back to the issue of technical language, one of the key principles to come out of the workshops was how do we best describe risk? Although percentages and probabilities might be an important part of our planning process, the groups’ feedback was that most people just want to know whether they will face flooding or not. Unless you’ve been affected by flooding, you won’t understand just how much this can turn your life upside down. There was general agreement that talking about the real impact of flooding is more likely to lead to the public taking action but that we shouldn’t talk about the devastating effect of flooding without also giving practical advice to people on what they can do about it. The support and advice we offer is something we pride ourselves on, through our work in communities with flood wardens, encouraging people to make personal or business flood plans and giving practical advice about how to protect personal possessions. But it’s a useful reminder to us to think about how we can make these messages more accessible and when best to give them. So what can we do to apply these findings to our everyday work? We are already using them to assist in our work with community groups, in the redesign of our new flood warnings system and our flood maps. One thing you may have noticed about the Environment Agency is that we love maps. We use them all the time to monitor rainfall and its impact around the country, to plan our flood defences and to better understand flood risk areas across the length and breadth of England. But although maps are crucial to the work we do, one of the findings of the workshops was that the public may be less keen. The groups told us that, first and foremost, they want to know whether flooding will affect their community - not necessarily what is happening right across the country. We’ve taken this feedback and used it in the redesign of our live flood warnings service, launched earlier this year. Now when you land on the page, you’re given an option to enter your postcode to search for warnings and river levels in your location. Although, the map is still available for those interested in the bigger picture. We’ve also taken on another recommendation by combining this information with advice on how to prepare for a flood. This project is an important step to improving public understanding of flood risk and encouraging people to take action. Our full report of the project and its findings is published today but the work doesn’t end here. We all have a role to play in managing flood risk and the messages we’ve created with the public during these workshops, will help us to communicate that in future. 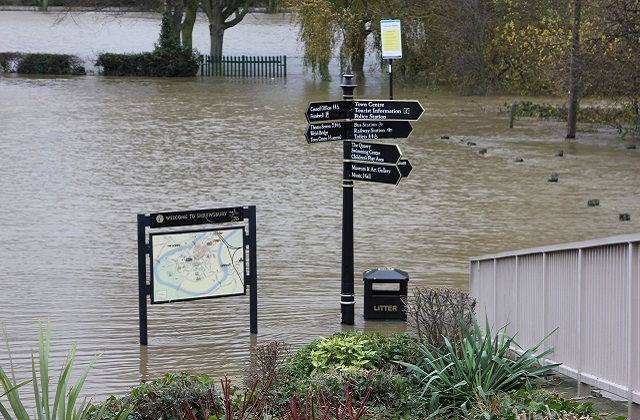 The Public Dialogues on Flood Risk Communication Project was carried out in partnership with Defra, the Met Office, the Cabinet Office, Public Health England, the Flood Forecasting Centre and the National Flood Forum. You can read the report here. It seems like building ever-higher and ever-longer defences is v expensive and possibly not effective. As many farmers are struggling then pay them a retainer for the right to force-flood their riverside fields upstream of problem areas. If their fields actually get used as flood-plain pay them extra. The farmers would get some extra hard-needed money and society get a bonus that could take the sting out of the high-water events and would probably be cheaper and simpler. Also the money given to farmers is likely to be quickly 100% recycled in the local economy, if money it put into a brick wall it's locked away for years. Who would have thought of this? Nice article.